Sponsors play a key role in the club’s life – without their support; the club would not be able to achieve its goals. Our innovative partnership approach in the world of Estonian football, offers companies a unique and profitable experience. Being a partner of Nõmme Kalju provides the opportunity to unite with the most widely followed football club in Estonia. Kalju is the leader in terms of visibility thanks to the unique approach of marketing. By supporting the club, a sponsor shows that they care about developing youth football and makes a contribution to the club’s aspirations towards international success. disposal (offered by media sponsors), this gives the sponsor a chance to increase their brand awareness. definitely be visible at all events. There are different sponsorship programs for supporting the club at different levels, according to the sponsor’s interests and means. 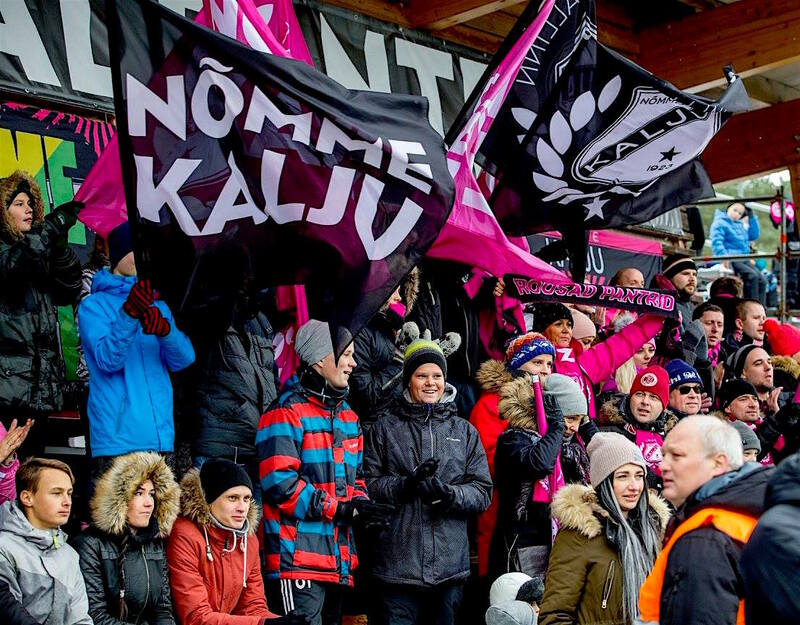 By supporting Nõmme Kalju, you will support the footballing aspirations of hundreds of children as well as the hope that Estonian club football will be able to compete in the football arenas of Europe. Kalju aims to establish stable and long lasting relationships with its sponsors in order to achieve tangible results together. Nõmme Kalju has six levels of sponsorship programs. It is also possible to find other cooperation opportunities in areas of common interest. In case of interest, a detailed description and price will be presented.